Snack time! 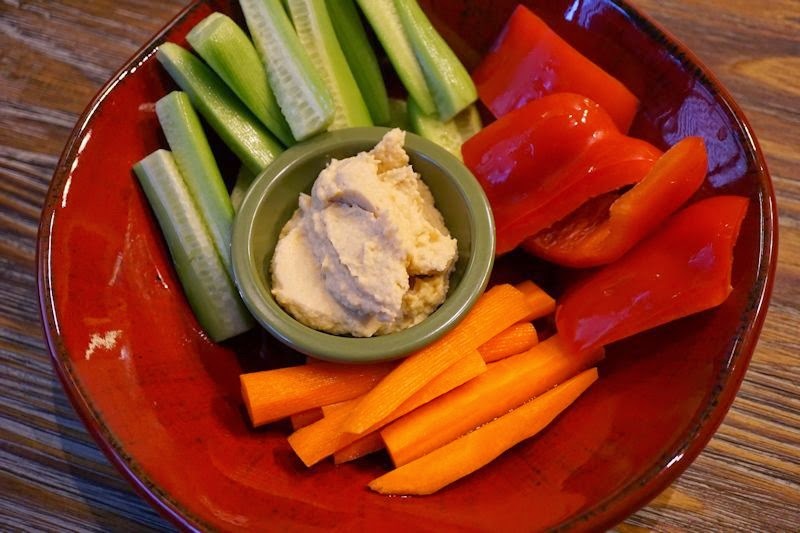 Homemade Roasted Garlic Hummus (I used a whole head of roasted garlic!) with fresh veggies! Blend in high-speed blender until very smooth. * Cut the top of a head of garlic off, revealing each clove. Place in a square of foil, adding a few sprinkles of water on top. 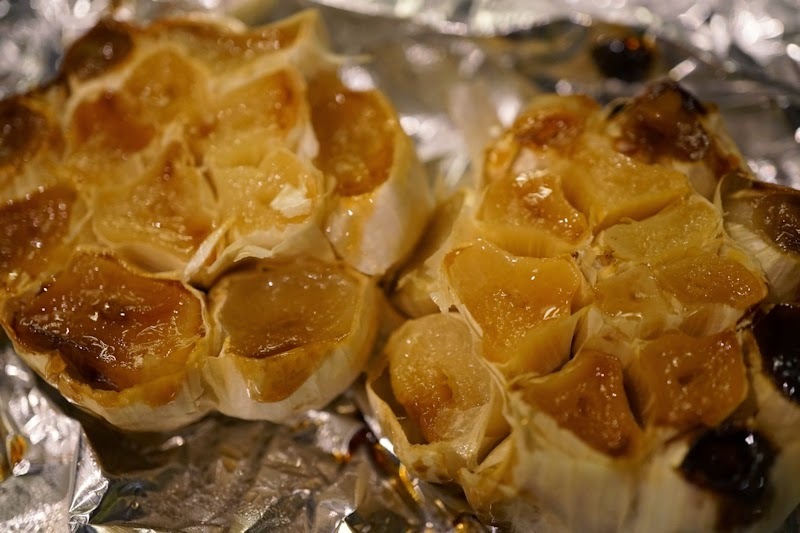 Wrap loosely in the foil, and roast at 375 degrees for 35-45 minutes. Squeeze cloves out and into your recipe.